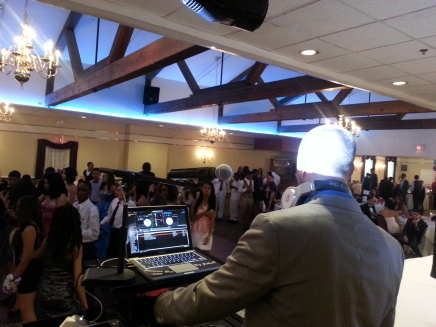 Dj JohnO is the right choice for any event. With his experience performing at Nightclub and Wedding Venues over the past 10 years, he can provide an experience that is interactive and creative for his clients. DJs weekly at Pocono and Tri State Area Venues, just to mention a few: Jock N Jills Sports Bar and Nightclub in Stroudsburg, PA, One Lounge and 21 Lounge in Atlantic City, NJ, and Salsa on the Square and The Public House in Philadelphia, Pa. Performed numerous events, including: Proms, Quinceneras, Sweet Sixteens, Bridal Showers, Weddings, Etc. 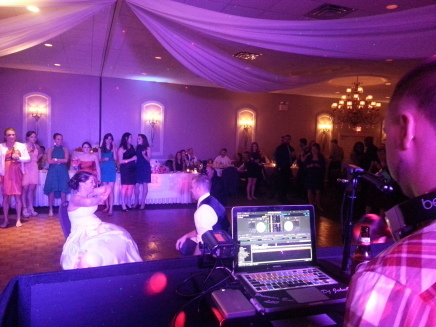 Dj JohnO is the right choice for any event. With his experience performing at Nightclub and Wedding Venues over the past 10 years, he can provide an experience that is interactive and creative for his clients. JohnO keeps the party moving by using a constant flow of songs. He is creative with going back and forth on multiple tracks, scratching, and playing mashups and remixes designed to hit his target audience. His experience with winning DJ battles allows him to create a high-octane style of Djing, making him the right choice for any event. JohnO’s music library is diverse to say the least. He has performed events while playing music ranging from hip hop, reggae, reggeaton, house, pop, rock, country, soul, 80s, 90s, bachata, merengue, salsa, and much, much more. JohnO’s unique skill set as a DJ makes him the right choice for any event. MacBook Pro laptop running Serato DJ, Pioneer DJ-SZ Controller, Technic 1200 Turntables, Rane TTM57SL mixer, QSC K12 speakers, QSC KW181 Subwoofer, and Shure wireless microphone. (5) Chauvet LED Shadow black lights, (2) Chauvet LED Color Palettes, Chauvet LED Motion Drape and Façade, White American DJ Façade with up lighting, White Tripod Speaker Facades with up lighting, Pro Audio Truss, Shinp 4 Lens DMX Laser, and an American DJ Quad Gem DMX.